History remembers Robert F. Kennedy as a racial healer, champion for the poor and the last progressive knight of a bygone era of American politics. But Kennedy’s ascension as a liberal giant was the final stage of a journey that had its beginnings in the conservative 1950s. 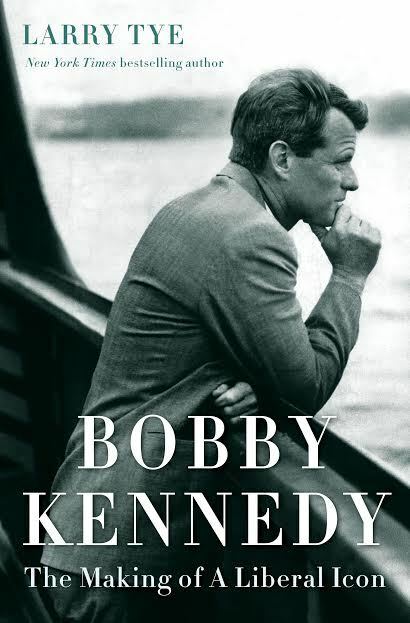 In Bobby Kennedy: The Making of a Liberal Icon, New York Times best-selling author Larry Tye deconstructs the myth of Kennedy to paint a nuanced portrait of this fascinating attorney general, U.S. senator and presidential candidate. Tye draws on unpublished memoirs, unreleased government files and fifty-eight boxes of papers that had been under lock and key for the past forty years. He conducted hundreds of interviews with RFK intimates, including Bobby’s widow, Ethel, his sister Jean and his aide John Siegenthaler; many of whom have never spoken to another biographer. From 1986 to 2001, Tye was an award-winning reporter at The Boston Globe. His beat ran the gamut from medicine to sports. He graduated from Brown University, was a Nieman Fellow at Harvard University, and taught journalism at Boston University, Northeastern and Tufts. Tye will read from, sign and sell his book, Bobby Kennedy: The Making of a Liberal Icon, New York Times on Thursday, September 29 at 7pm in the IAHC Library. Donations will be accepted at the door.